Gus Van Horn: Drone Regulation: A Step Back or a Strategic Retreat? Drone Regulation: A Step Back or a Strategic Retreat? 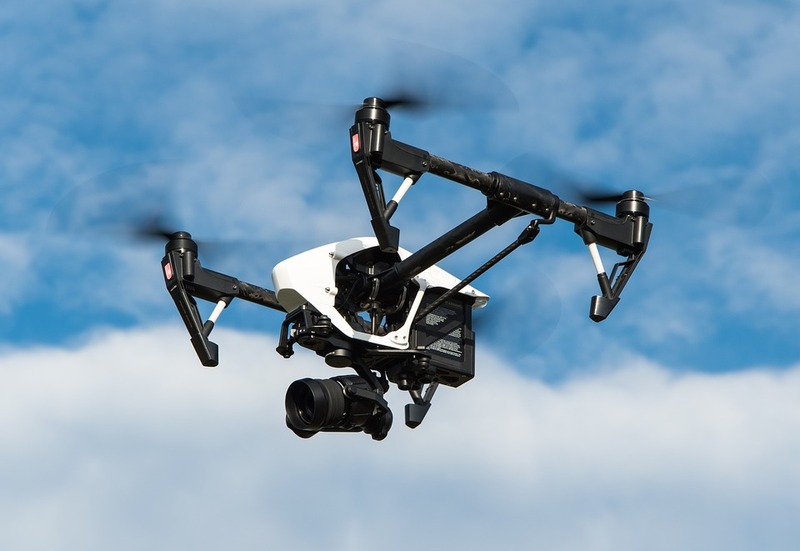 The President who wanted to remove two old regulations for every new one recently signed into law the FAA Reauthorization Act, which repeals an old statutory exemption from FAA rules for model aircraft, such as drones. The new law will take some time to take effect, but it raises some interesting questions for those of us who, unlike the President (See: tariffs. ), oppose regulation of the economy on principle. The first might even be, where do we stand on this? Other countries already have drones delivering beer to concerts, for example, and the FAA has been a hindrance to commercial drone use here, for example. I haven't delved into this story, but in our crazy-quilt mixed economy, such a move could -- especially to a pragmatist -- look like a good way to free up the economy. It could even fit into a general scheme to de-regulate. I doubt this is the case with Trump or today's GOP, but its an interesting question to consider. Part of the problem is that our regulatory authorities combine several types of activities, ranging from the completely illegitimate; through those that need doing, but not by government; to providing a proper and necessary legal framework for a certain type of activity: (1) completely illegitimate central planning (such as the kind that makes "Uber for flight" illegal); (2) activity that standards bodies, watchdog groups or the like can and should be doing, instead of the government, such as establishing best practices for dealing with volcanic ash; and (3) adapting the law as necessary when new technology raises a question about, say the limits of property rights. Even in the last case, I doubt a full-blown regulatory agency would always (ever?) be necessary. Again, I just learned of the signing of this law and haven't had time to learn about its rationale, but the mixed nature of regulation conceivably means that a nominal increase in regulations can sometimes look in effect like a freeing-up of an economic sector, and could conceivably be a tool for eventually reducing and eliminating regulation while other law is corrected. The last link mentions that flight raised new questions about an old common law assumption about property rights, and reminds me a bit of Ayn Rand's essay on a related problem, "The Property Status of the Airwaves," in which she discussed how the government incorrectly solved the problem posed by radio in its early days. I have heard some cheer this regulatory expansion, citing the common stereotype of the individual as inherently irresponsible and in need of being kept from flying drones without heavy government supervision. But reckless piloting, say near airports, would already be illegal. Torts might, in a freer society, motivate manufacturers and sellers to educate their customers. And then there is the question of whether the limit to how high in the sky private property actually goes was settled correctly in the early days of flight. I don't know the answers to all of these questions, but these are good questions, and those of us who oppose regulation need to appreciate that they are good ones as we prepare to argue against regulation and think about how to get rid of it. There's something else that needs to be considered: The chilling effect of an ever-changing regulatory environment. I work on a lot of environmental remediation sites (if that sounds weird, let me assure you that these are objective threats--the dirt was so contaminated in two of them that it burned your skin on contact, and was crossing into other people's property!). When drones came out there was a rush of excitement, as we could provide much greater photo documentation of the sites using drones. We could also use them to get into places that would be difficult or unsafe for a person to get into, such as frack tanks that contained hazardous gases. However, with the uncertainty about what constitutes a legal use of drones, the companies I have worked with have backed off their use. It's legally safer to have a human being going into a pit full of hazardous waste than to have a drone going into it! There are scientific questions that are going unanswered as well. I know of at least one research team that used drones to map meso-scale geomorphic structures (ie, those that cover a few square miles), leading to a great advancement in our understanding of the history of the Basin and Range province in the western USA. Similar techniques can be used to identify ore deposits, potential oil fields, deal with issues in farm fields, map floodplanes.....the list goes on and on. But with increased uncertainty about regulations, such work is being put off more and more. If the regulators would pick something and stick with it for more than a year or so we could at least develop strategies to cope with the regulatory burden--it's not good, certainly, but it's possible. When you don't know what the regulations will be next month, however, it's impossible to plan. What this means is that legitimate, beneficial uses of drone technology, run by responsible people, simply don't occur. Increasingly only the irresponsible people, who will ignore the laws anyway, are flying drones. Excellent points, and they make any use of regulation, even when it could be a stopgap measure, something to be avoided if at all possible.